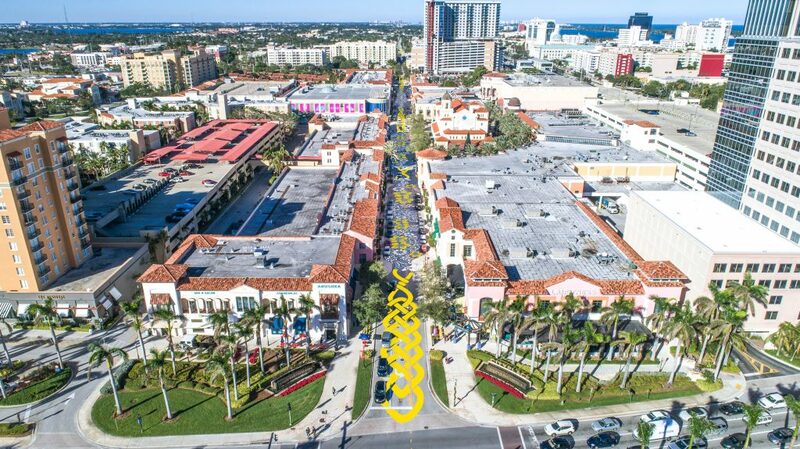 During this year’s newly created Art Affair, which opens today and runs through April 15, the action is centered on Rosemary Avenue in West Palm Beach, with a new series of events and an influx of vendors as well as the unveiling of a mile-long “road tattoo” named Genii Loci, stretching from Okechobee Boulevard to Sunset Lounge. There will also be a new artwork called Assemblage: An Organically Grown Exhibition, a yearlong visual art project on the first floor of the Culture Lab. The road tattoo’s Latin title means “protective spirits of a place,” and is being painted by artist Steed Taylor. The painted street mural, described by the artist as the “skin” of the community, features three elements: a twisty rope of local native flowers in blue and yellow, Celtic knots emphasizing the power of community, and music notations for the jazz standard “’Round Midnight,” by Thelonious Monk, as a nod to the historic Sunset Lounge and its unique history where the mural will wind up. The installation will be the longest continuous road tattoo Taylor has done. The installation will engage local artists, organizations, students and community groups to paint a portion of the project. The road tattoo will take Taylor about six to 10 days to create, and the road will be closed at night in sections as he works. The consumer-grade traffic paint will last about two years before eventually wearing away. The actual tattoo paint will be a few inches away from the traffic lines and markers. Taylor is known for his public artwork as well as his work in galleries. Born near Fayetteville, N.C., and a graduate of the University of North Carolina, Taylor’s road tattoos have been inked into cities such as Chicago, Washington, D.C., and New Orleans. Over at Culture Lab, Assemblage will begin with two artists, Ioanna Pantazopoulou (New York/Athens) and Jennifer Steinkamp (Los Angeles), and more artists will be added until the exhibit’s culminating event in December 2018. Pantazopoulou’s vibrant interactive work called Oasis consists of nine unique hammocks that weave in common objects and are hung in a carousel-like display, and displayed with local plants. Visitors are invited to get on the hammocks and literally lie back into these sculptures where they can view Steinkamp’s projection titled Cultured, depicting large scale, gently swaying pearls. This digital artwork is playfully site-specific within what was the “jewelry section” of the former department store. This evolving exhibition will be free of charge and open to the public during the Culture Lab’s normal hours during weekdays through Art Affair. 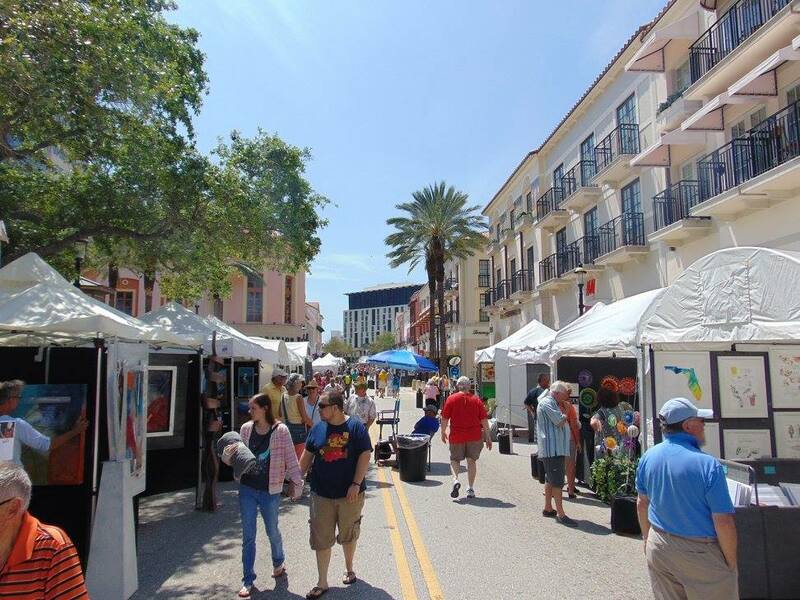 This weekend, Rosemary Avenue will transform into an outdoor art showcase during the 8th Annual Downtown West Palm Beach Arts Festival, featuring more than 100 artists’ tents, arranged gallery-style and filled with all mediums of fine art. The free, outdoor event takes place from 10 a.m.–5 p.m. on both days. For those looking to explore the new art and cultural attractions downtown, a 90-minute walking art tour has been created. Visitors will learn the intention and meaning of various murals and installations while gaining a better understanding of the artists who created them. The tour, led by Ashley Capps of Gravity, a locally based arts and culture consulting firm, will start and end at Hilton West Palm Beach and include free valet parking and refreshments at the Hotel. The walking art tour will be launched during Art Affair, with more dates to be added throughout the year. With new murals at Culture Lab and on the parking garage on Hisbiscus, a huge new mural by Retna on the Restoration Hardware building on Okeechobee and new sculptures by the plaza fountain, there is a veritable flurry of new art in the area since last year. Taylor’s Genii Loci will be celebrated with a special ceremony and public dedication closer to the completion of the project.